I look at gold as nothing more than another currency. In the foreign exchange market, people trade sterling against the euro; they trade euro against the yen; they trade yen against the Canadian dollar; they trade the Canadian dollar against the US dollar; they trade the US dollar against the Aussie dollar; they trade the Aussie dollar against the Mexican peso; you trade the peso against the ruble. Foreign currency traders, foreign currency dealers, and foreign currency investors are always looking at currency crosses. I'm not a "Gold Bug." I just think that gold is nothing more than another currency. It is no better nor any worse than is the dollar, than is the ruble, than is the renminbi, than is the euro, than is the yen. And as a currency, it can be and should be seen in relative terms against other currencies. With these ETFs, you can trade gold against yen; gold against euros; gold against pounds; and gold against a basket of different currencies. Once we get through the winter we’re going to have less than one trillion cubic feet of nat gas in storage, which is a very, very tight circumstance. You could actually get down to 900 million feet of natural gas, which is just – I hate to use the word – an unconscionable and frightening level. a) The fact that gold futures moved to a very modest backwardation indicates how tight deliverable supplies of gold are. b) Attendance at the "gold bug" conferences that occur in January and February are down dramatically. c) Gold prices have gone down, and the market has beaten prices up about as much as they can. Bad news came out several times; you've had gold being downgraded by multiple brokerage firms, and it didn't break. Throw all those things into the pot, stir them around a little bit, and it tells me it's time to be bullish. Dennis Gartman on CNBC - "The trend is clearly from the lower left to the upper right. One does not get short." Watch the full interview above on the media player. I've quietly turned bullish on gold for a few reasons. Firstly, beginning five and six weeks ago we started to see a lot of the mining companies— even the largest gold mining companies— begin to curtail production. That's always a sign of an end of a bear market. Lets talk about what Janet Yellen had to say. And it was really quite boring and that’s as it should have been. 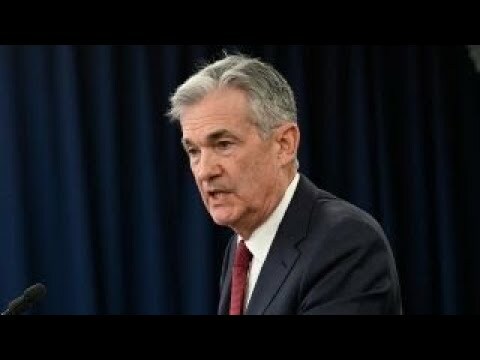 She confirmed that the Fed will continue to reduce quantitative easing by $10 billion a month as long as the data supports it. The decision to reduce the level of accommodation, which everyone refers to as Tapering, the fed has never used the word tapering. [This] has been reduced from 85 billion to 75 and now its down to 65 billion dollars. They are reducing 10 billion dollars every meeting. Gold is looking interesting to me for the first time in a long while. You want to be long in gold in the currency that is the most expansionary..... The most expansive of all...Japan. I'm not one who falls for the thesis that there is manipulation in the gold market, or there is no gold out there for delivery. Gold supplies are tight, but I am not that concerned about it. Throughout the course of my career, I’ve discovered first-hand that a diligent and comprehensive approach to trading and investing can deliver positive returns to a diversified investment portfolio. Among those lessons, I’ve learned that owning different commodities, especially gold, in different currency terms can provide added-value for any investor’s alternative allocation. AdvisorShares, a leading sponsor of actively managed exchange-traded funds (ETFs), has unveiled an industry-first suite of ETFs providing gold exposure in different currency terms. It has been launched in partnership with Dennis Gartman, editor and publisher of The Gartman Letter, and Treesdale Partners. Yes, I'm still neutral on equities, but if we can go sideways for a couple of days, if we don't backtrack, if the volume subsides on a sideways movement, I'll come back in and say the trend is still up. The one thing I will tell you is: You can't be short. It's still a bull market. That's what's really important. It's one thing to lose money. It's another thing not to make money. And if you're short, you're losing money. I have been neutral, honestly, of stocks. I thought we would have a 15 percent correction. But I also said it's still a bull market, and in a bull market you can only have one of three positions: Really long, nicely long or neutral. I'd say I was wrong. We got to a trend line that really did hold. I didn't think it would hold. It did, in fact, hold. I looked at a lot of the indices. The Nasdaq did, in fact, break its trend line. The Dow began to diverge. You started to get less-than-exciting earnings coming out in various stocks. You had the currency markets, I think, in difficulty a couple of weeks ago. You had copper breaking trend lines. You had an awful lot of things happening, all in a five- or six-day period of time that certainly did look terrifying for a couple of days. And then, all of a sudden, it's as if the cover had been lifted off. The amount of selling that needed to be done was done — was done at higher levels than I thought it would be accomplished at. You can't say that a bear market has started until you've broken the trend lines—until you have rallied back, failed again, start to move lower. I'm not willing to say this is a bear market at all. I just think you're going to have a very severe, very substantive and really quite ugly correction that will probably make a lot of people wail and gnash their teeth before it's done. I think you're starting to turn the market basically from what had been an overt bull market to something demonstrably different. Now I think it's time to be somewhat frightened.